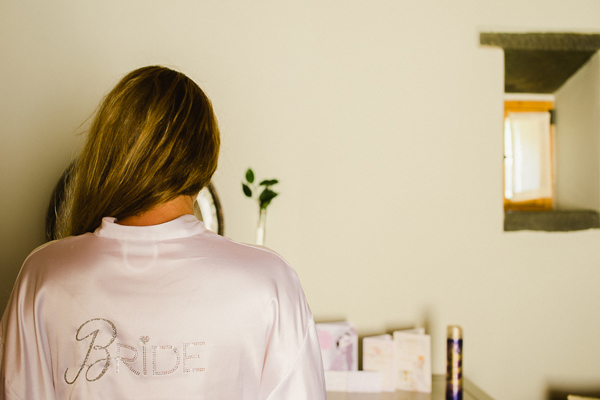 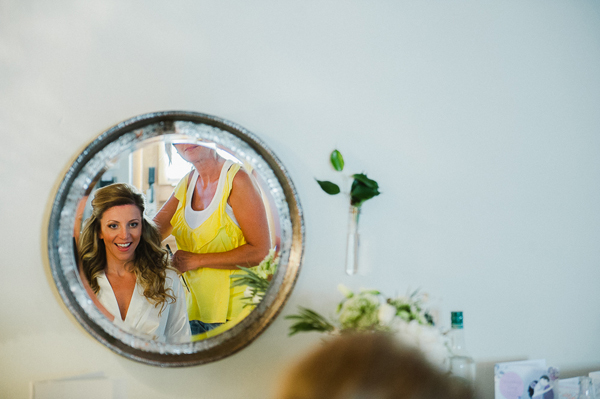 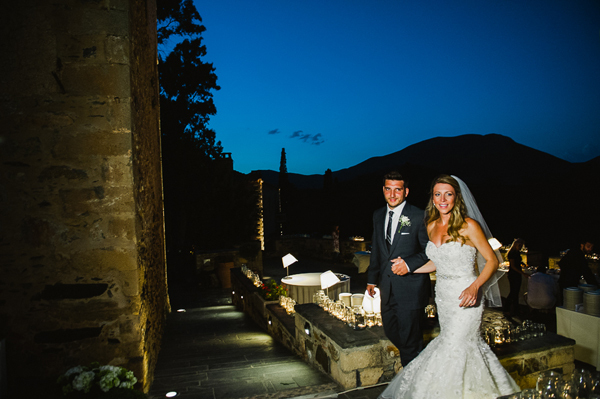 “The whole day of our romantic wedding in Monemvasia was so special to me, I enjoyed every second”, Nichole, the lovely bride shared with us. 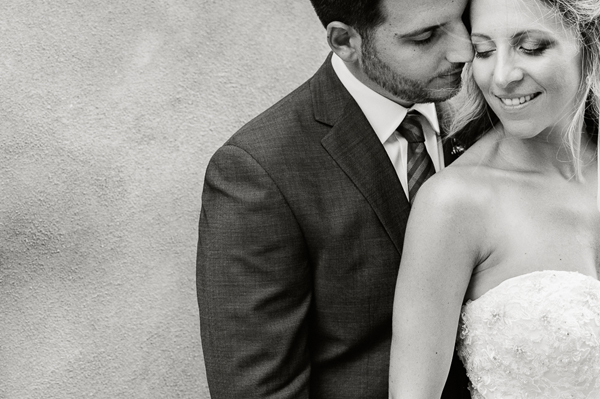 “My wedding dress was designed by Mori Lee. 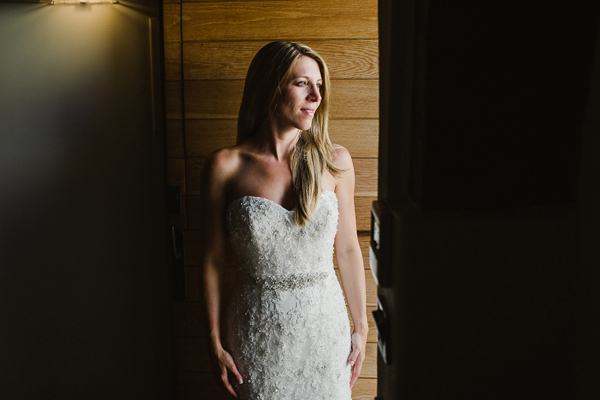 I added the beaded belt. 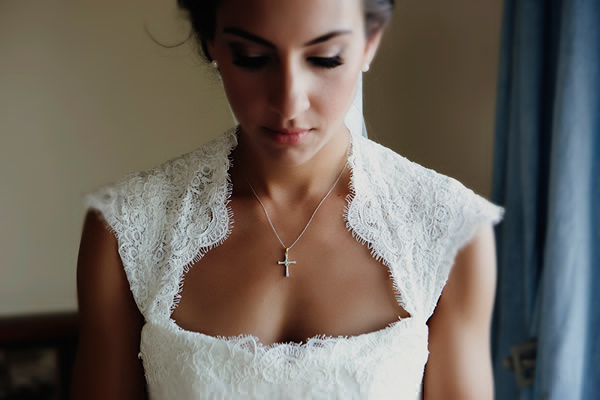 The dress had a sweatheart neckline and was a fit and flare type style with a lot of beading. 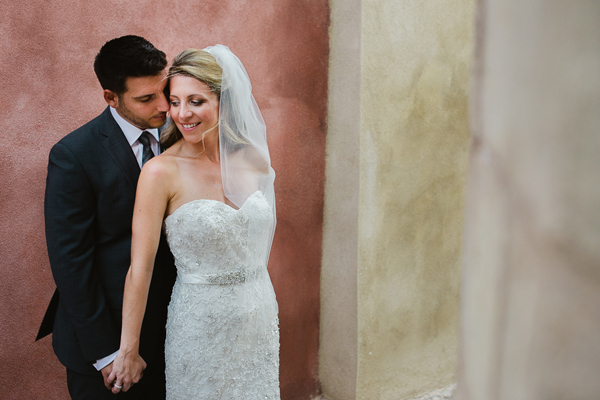 Thankfully the material did not wrinkle since I was flying and traveling with the dress”, Nichole shared with us. 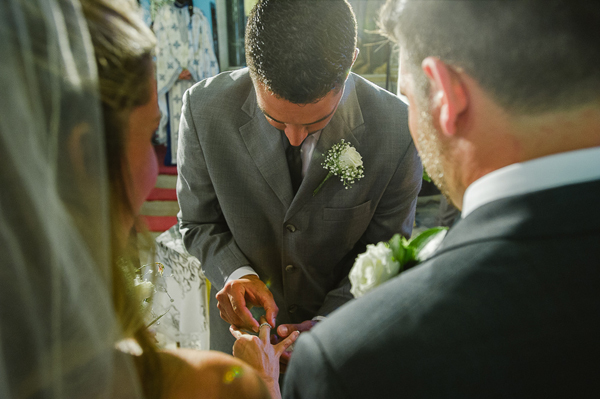 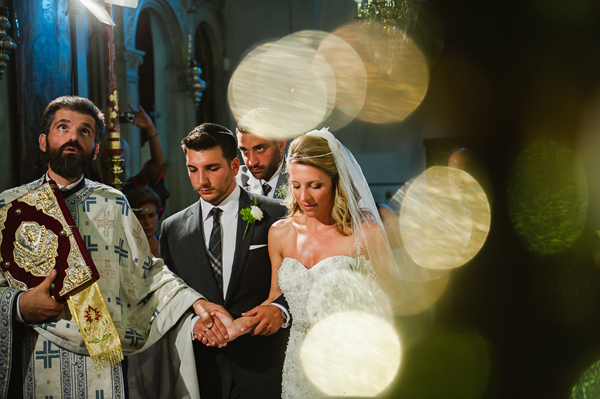 The couple met while working at a Greek Restaurant in Baltimore, Maryland called the Black Olive and Dimitris proposed to Nichole during a trip to Santorini: “We decided to go on a Catamaran Boat Cruise. 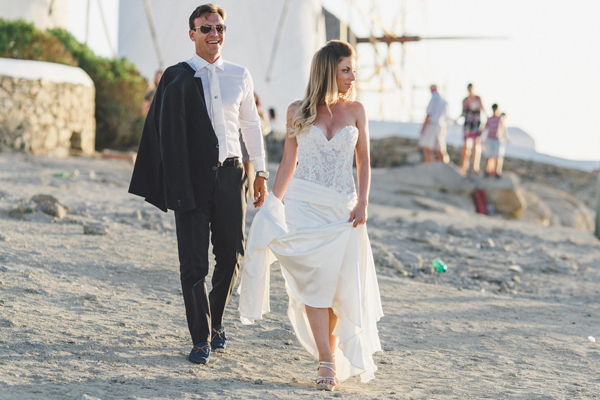 It was just before sunset on the cruise when Dimitri told me he was going to change into dry clothes. 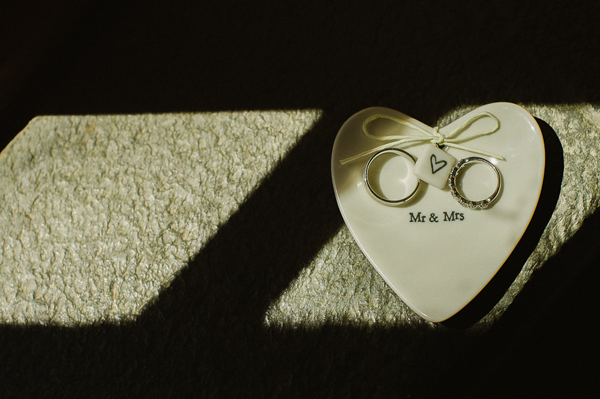 He came back with dry clothes and a ring in his pocket because a few minutes later he asked me to marry him right at sunset. 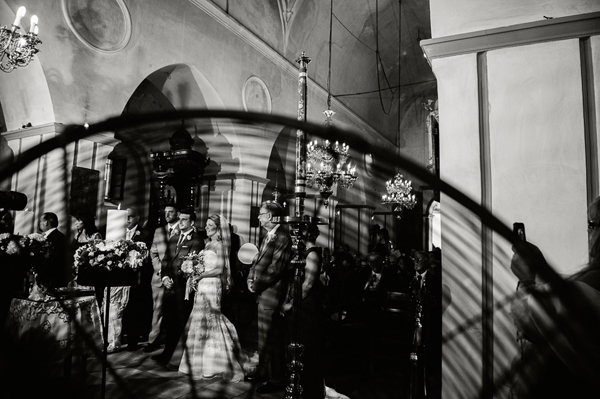 It was a perfect moment! 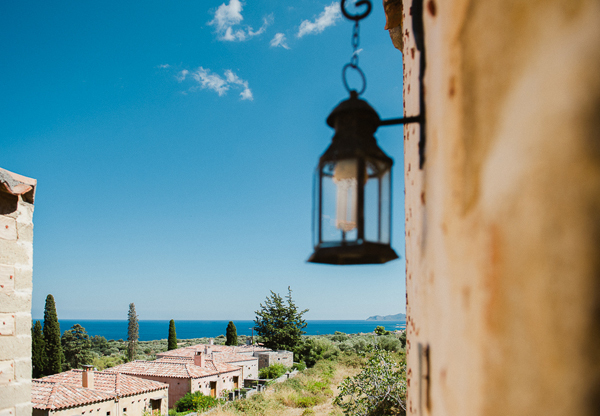 Planning a destination wedding definitely is not an easy task, however Nichole and Dimitri’s wedding in Monemvasia turned out to be a perfect fairytale wedding: “Our wedding planner, the talented IOANNA VAMVAKARI did an amazing job with the decorations and the overall planning. 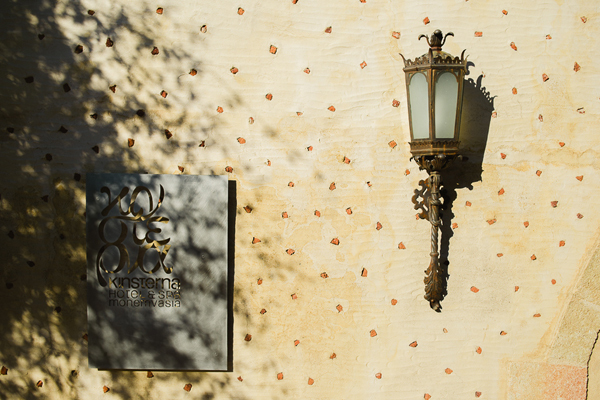 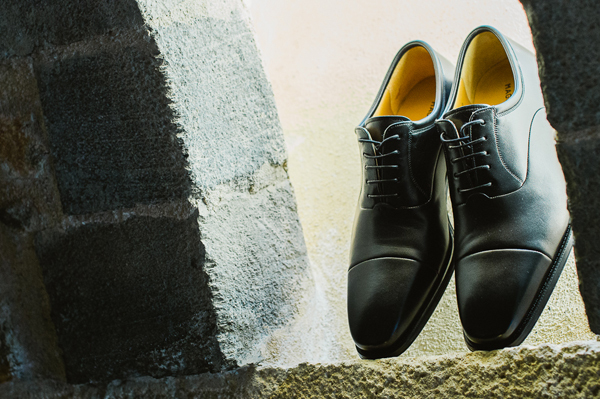 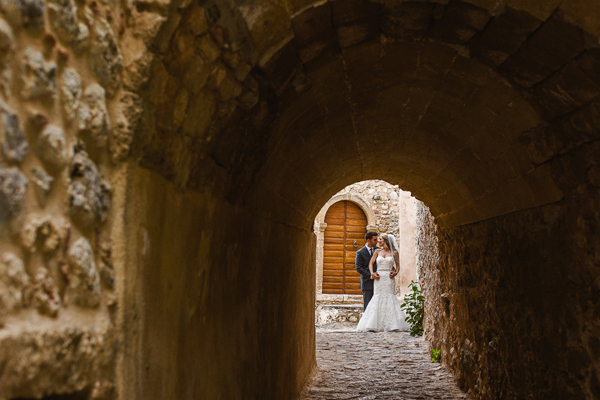 Our photographers, Sotiris and Olga from Mindart Photography did an outstanding job. 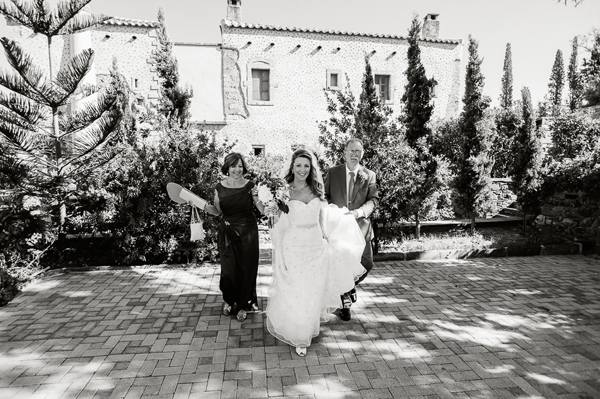 I was sad to say goodbye to them because we had spent so much time together the day of the wedding. 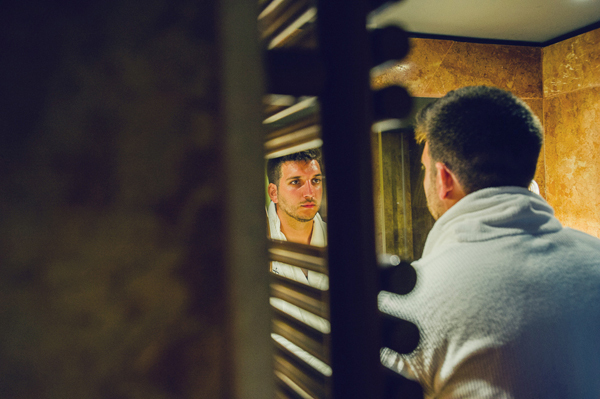 The day after the wedding we also took many photos around Kinsterna Hotel & Spa. 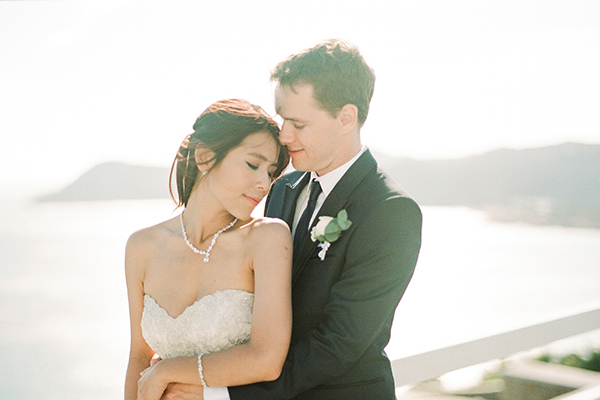 They were such a lovely couple and made us feel so comfortable. 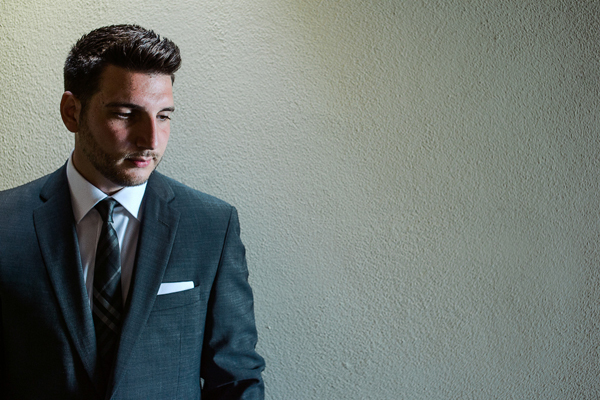 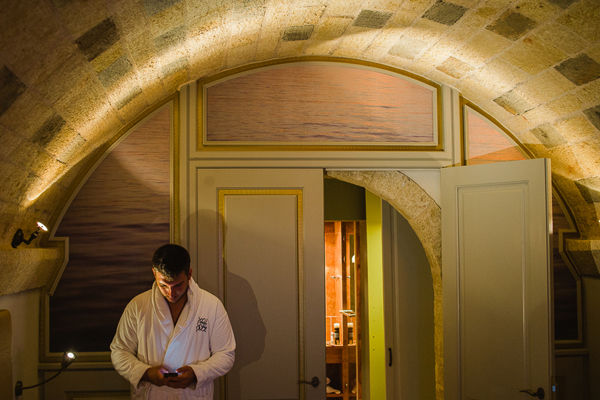 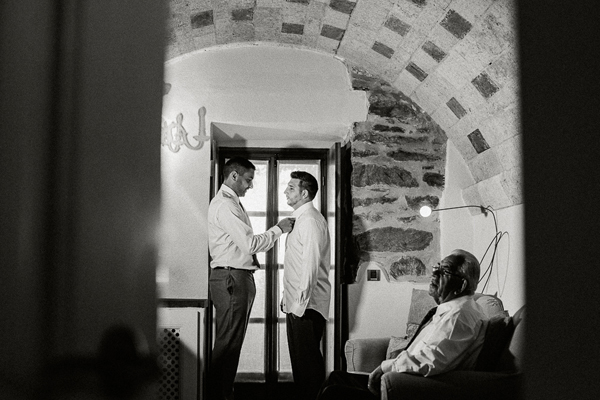 Sotiris knew the timeline for the wedding day and answered many of my questions. 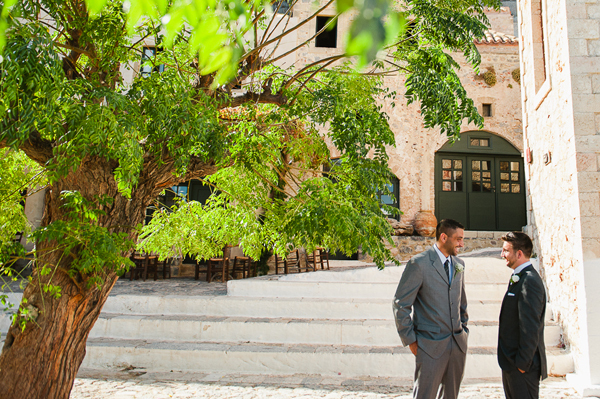 He even coordinated our transportation from the church to the hotel. 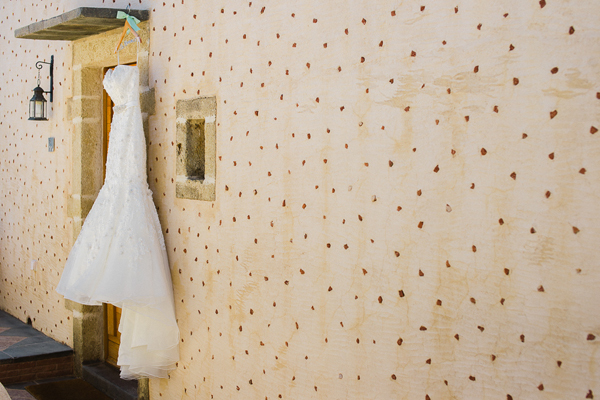 We didn’t have to worry about anything on our wedding day. 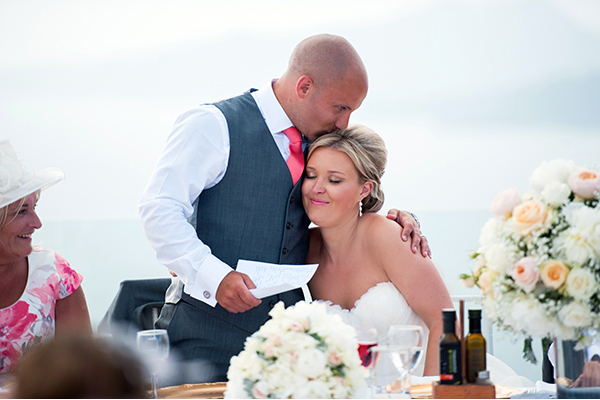 Theo from Kinsterna was also always available to answer our questions and to make us feel welcomed and comfortable. 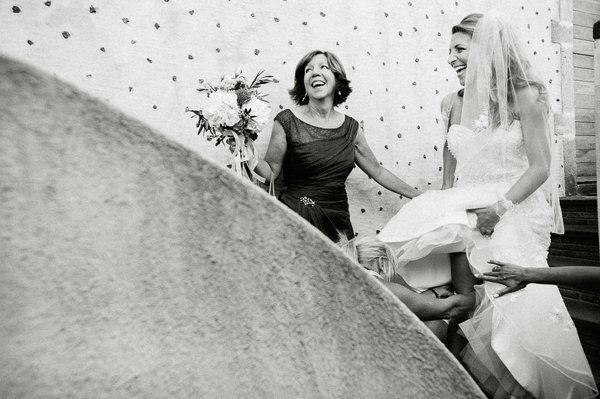 I can’t say enough about this entire team, they made us feel like family”. 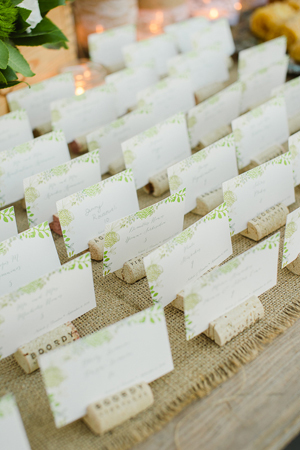 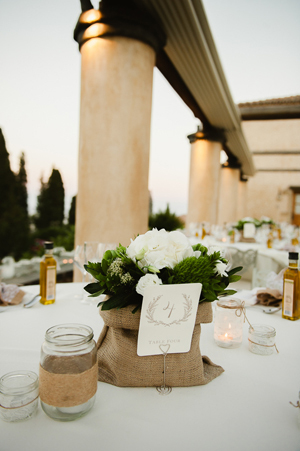 For wedding favors the guests were given handmade burlap and lace satchels filled with traditional Greek wedding candy called koufeta. 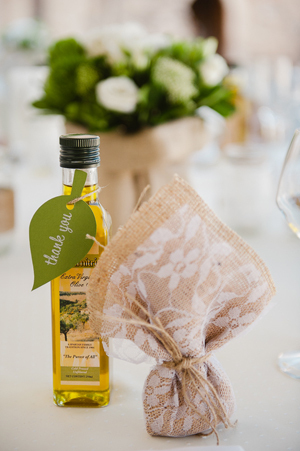 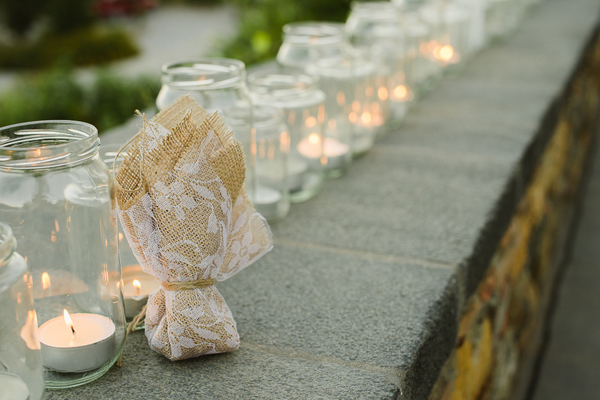 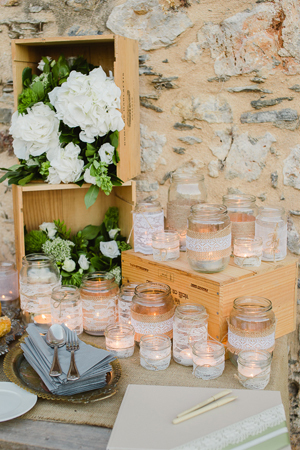 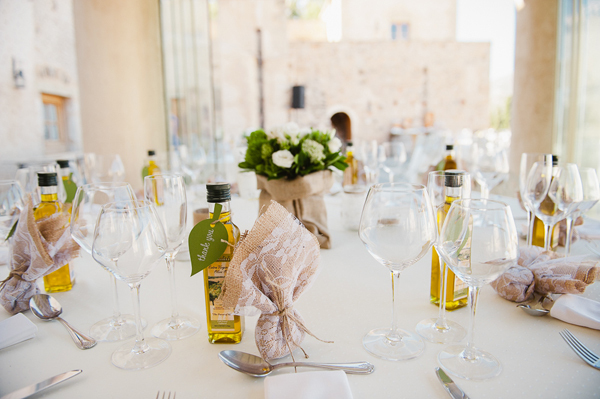 A wonderful thank you gift for each guest was also placed on the wedding tables: Bottles of Greek olive oil, a wonderful idea for a destination wedding in Greece. 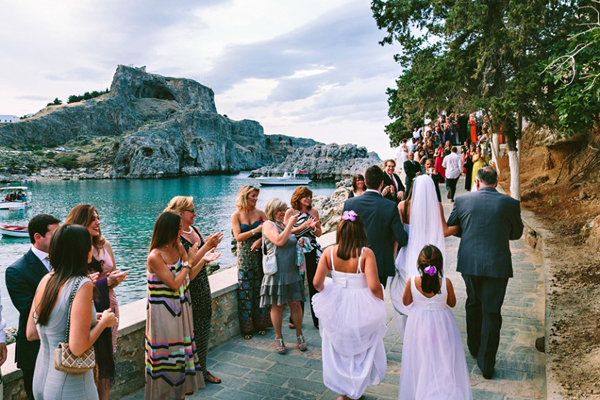 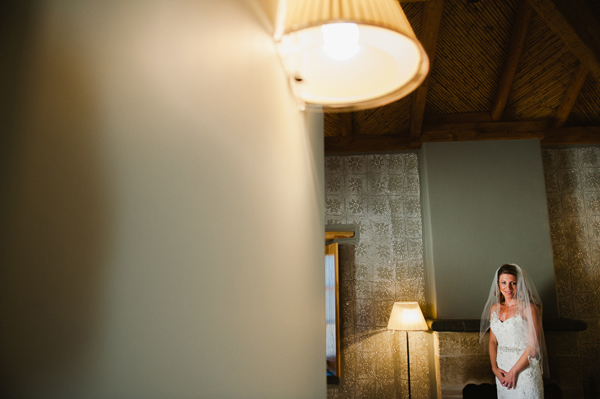 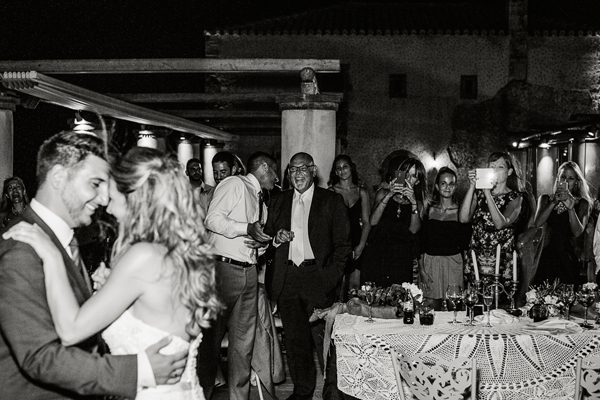 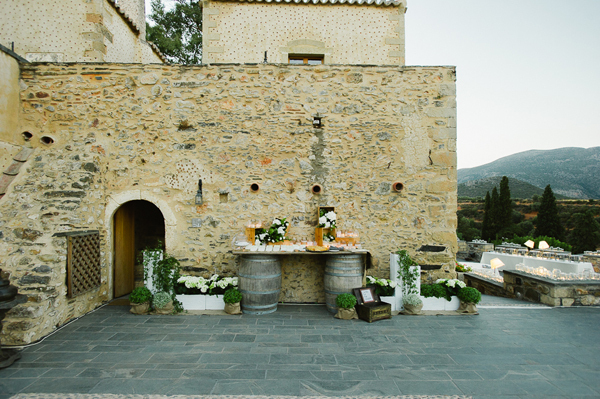 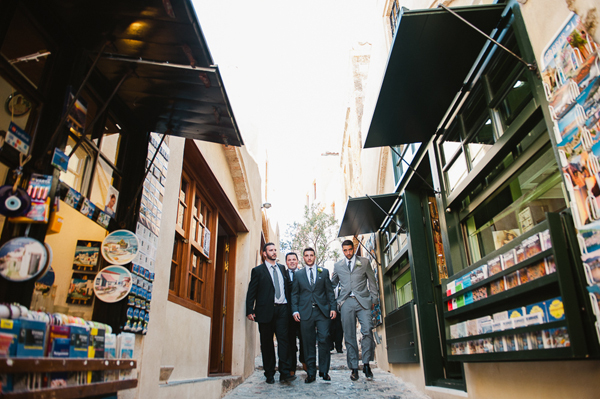 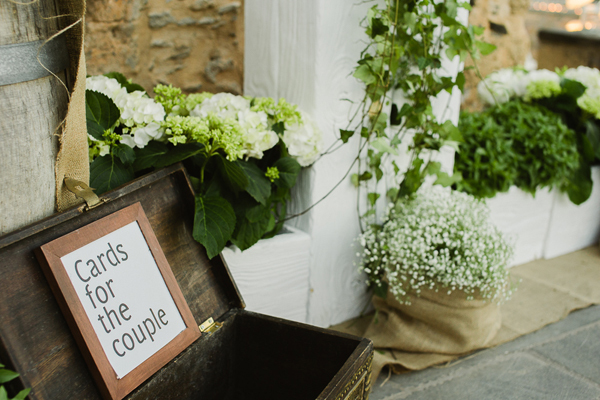 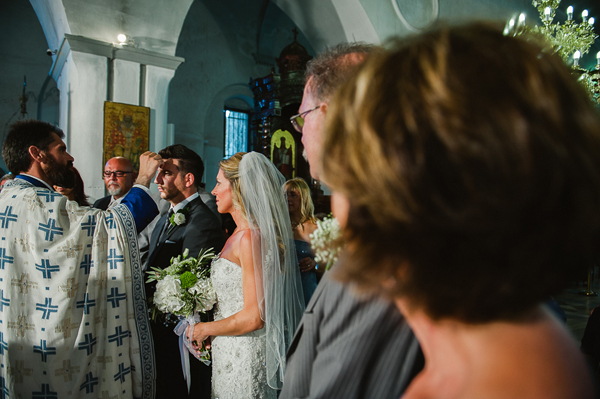 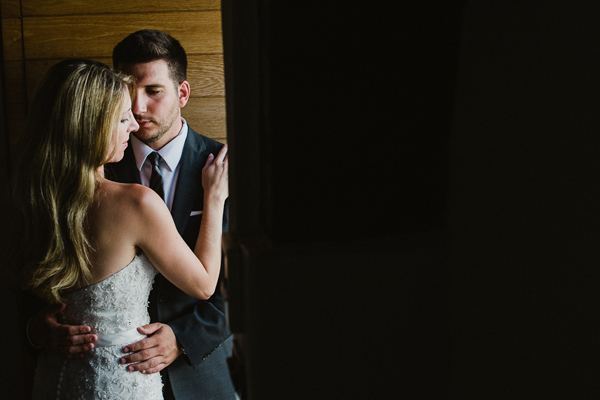 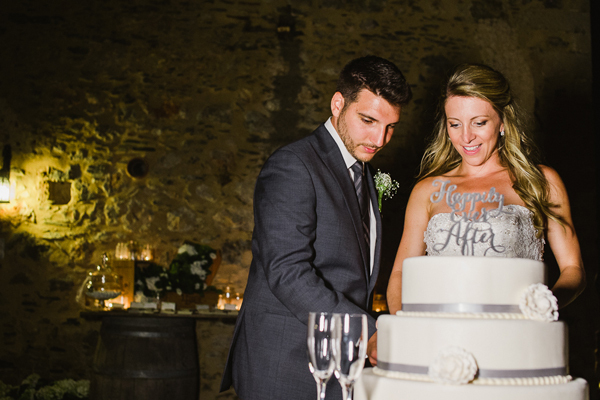 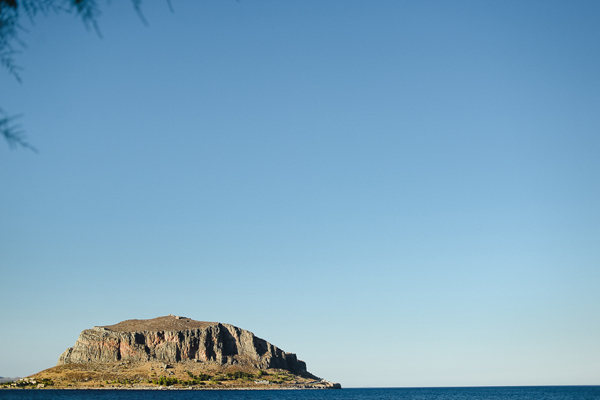 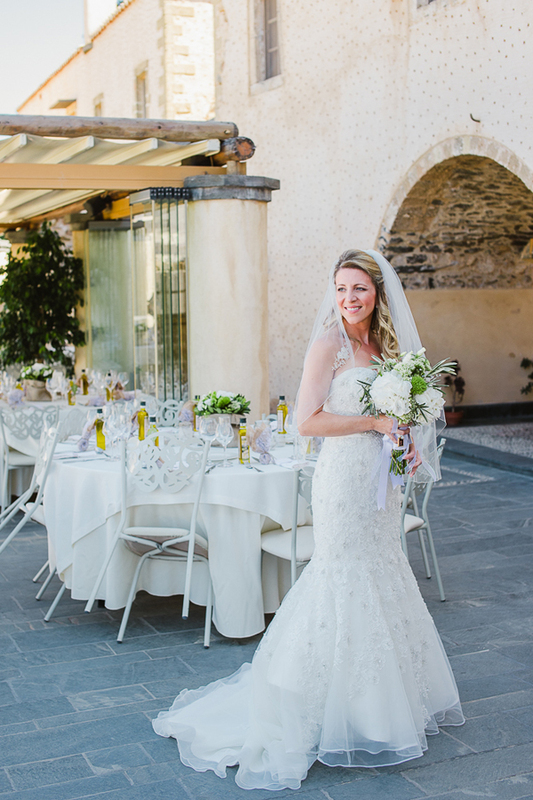 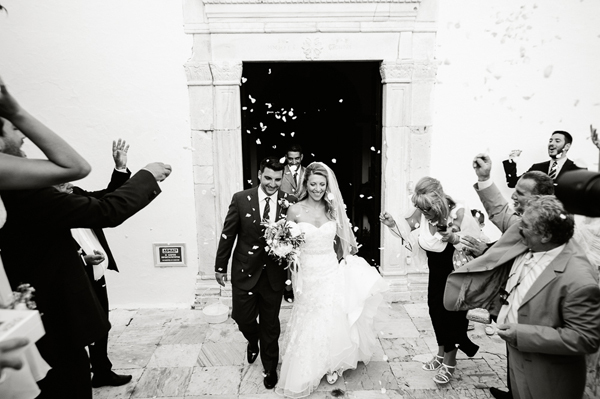 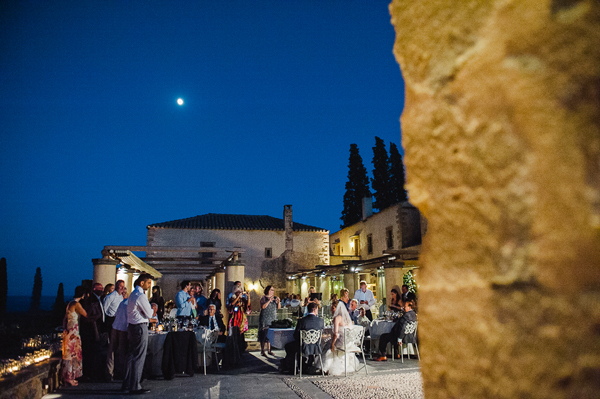 For Nichole and Dimitris it was their dream to have their romantic wedding in Monemvasia. 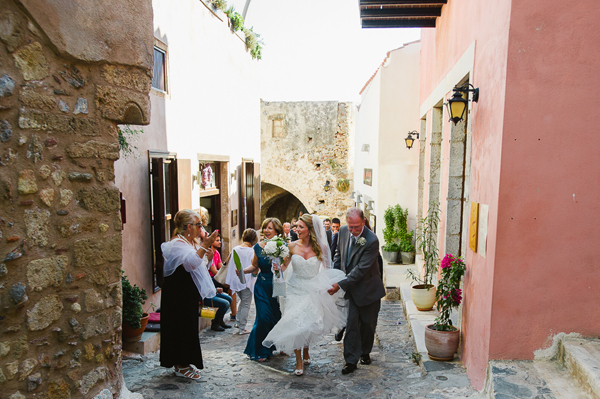 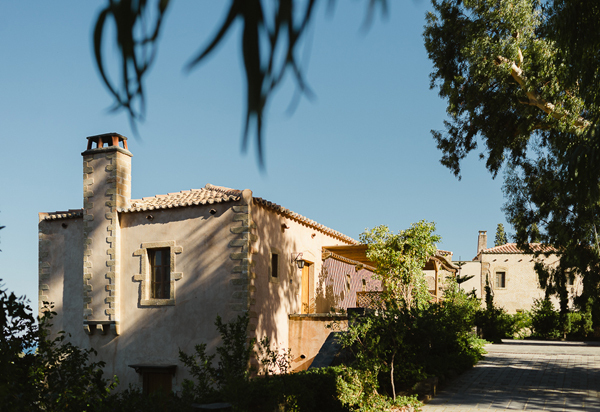 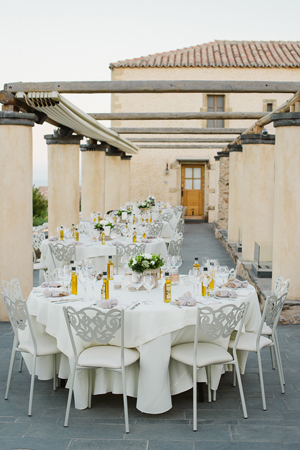 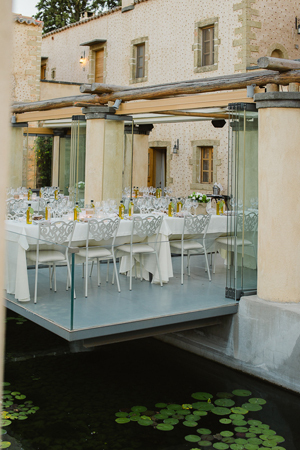 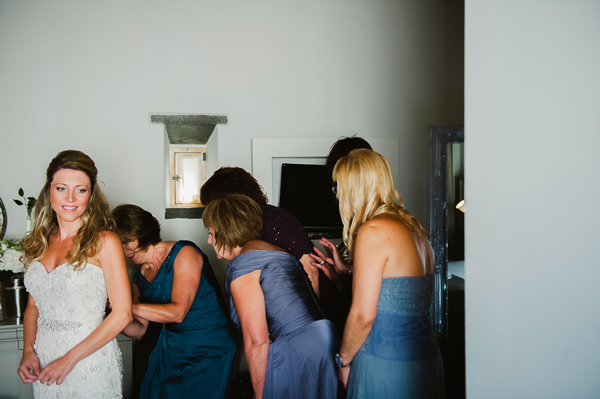 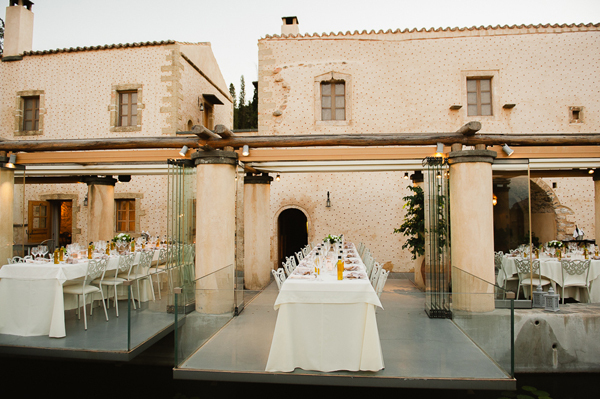 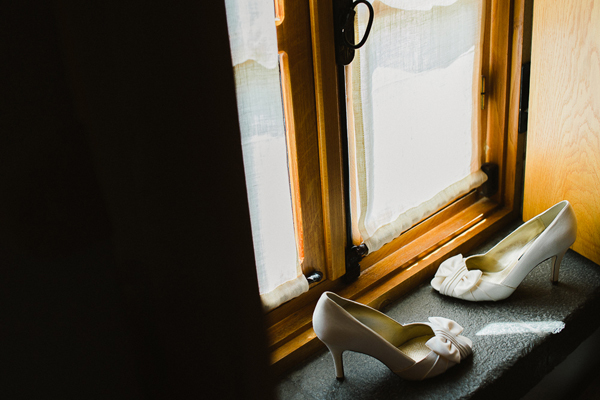 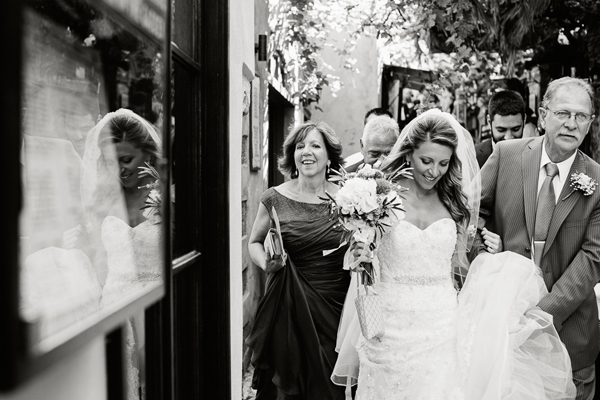 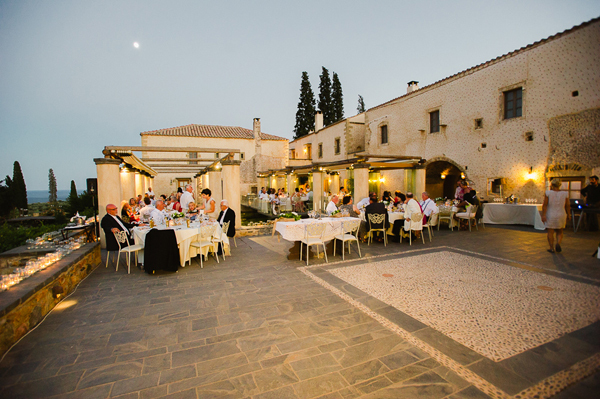 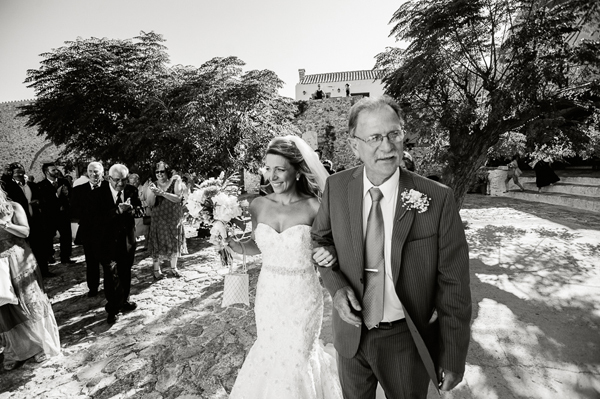 The location was very important to the couple since having the wedding in Monemvasia meant that family members near and dear to their heart were able to be with them on the most important day of their life. 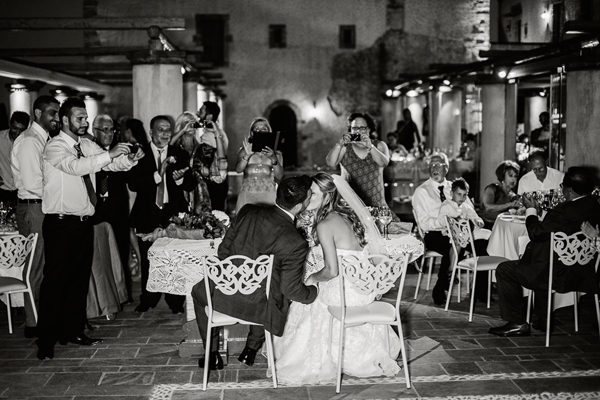 Ioanna Vamvakari, Mike Vekris Entertainment, Mindart Photography are on Chic & Stylish Selected Vendors. 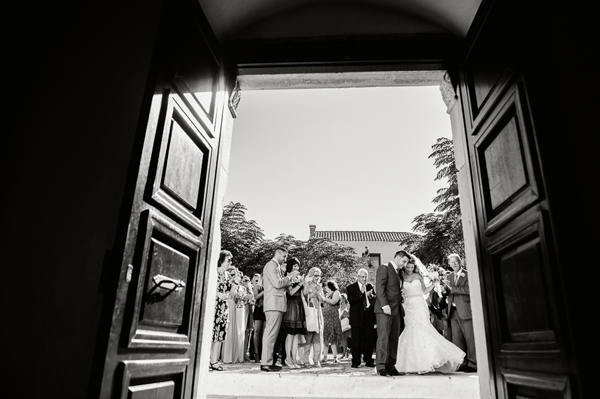 Absolutely beautiful photos of a wonderful day!